Why have we developed this product? Protein is a multi-functional macronutrient which is not just required by adults who take part in sport. Due to its fundamental role as a building block in the body, protein is also needed by children for healthy bone development and growth1. Despite this, a lot of kid’s milkshakes you find in supermarkets will be almost completely lacking in this essential nutrient. Instead, you will find that most shakes are crammed full of sugar, which not only provides extra calories but has also been linked to some adverse health effects*. 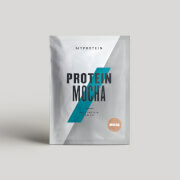 This is why here at Myprotein; our team of expert product developers have created a lower sugar, higher protein, vitamin and mineral rich milkshake mix that your kids will love but is also good for them. How will my child benefit from this product? With an average of 8.3g of protein, 72 kcals and 5.9g of sugar per serving, Little Beasts Milkshake Mix contains 58% fewer calories and 78% less sugar than your everyday supermarket alterative. In addition to this, we know the importance of micronutrients in children’s diets, so we have fortified these shakes with vitamins and minerals to support with healthy growth and development2, cognitive development3, the normal function of the immune system4 and the maintenance of normal teeth5. 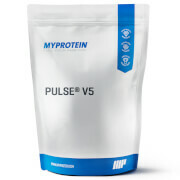 These Milkshake Mixes contain natural flavourings and are an excellent source of dietary fibre. Coming in two delicious flavours: Natural Chocolate and Natural Strawberry, your kids are sure to love the flavour of these shakes so getting your kids to eat their protein and vitamins will never be easier! 1Protein is needed for normal growth and development of bone in children. 2Calcium is needed for normal growth and development of bone in children. Iodine contributes to the normal growth of children. 3Iron contributes to normal cognitive development of children. Simply mix ¾ of a scoop (19.8g) with 150-200ml water. For best results mix in a shaker bottle to ensure a smooth milkshake drink. We recommend consuming one milkshake per day. To be consumed by children over 3 years of age. This product is a food supplement and should not be used to substitute for a varied diet. Do not exceed the recommended daily dose. Keep in a cool, dry place out of direct sunlight and keep out of reach of young children. Suitable for vegetarians. Natural Strawberry Flavour: Skimmed Milk Powder (43%), Whey Protein Concentrate (Milk, Emulsifiers (Soya Lecithin, Sunflower Lecithin)), Oat Flour (10%), Natural Strawberry Flavouring (Flavouring, Colour [Beetroot Red], Sweetener: Sucralose), Inulin Blend (Chicory Inulin, Glucose, Fructose, Sucrose), Milk Protein Smooth, Flaxseed Powder (2%), Vitamin Powder Blend (Magnesium, Vitamin C, Iron, Vitamin E, Niacin, Vitamin A, Zinc, Vitamin B6, Vitamin D, Thiamin, Riboflavin, Vitamin B12, Folic Acid, Potassium Iodide), Natural Vanilla Flavouring (Flavouring, Sweetener: Sucralose), Thickener (Xanthan Gum), GanedenBC30® (Maltodextrin, Bacillus Coagulans GBI-30, 6086, Soybean Oil. Natural Chocolate Flavour: Skimmed Milk Powder (41%), Whey Protein Concentrate (Milk, Emulsifiers (Soya Lecithin, Sunflower Lecithin), Natural Chocolate Flavouring (Flavouring, Cocoa Powder, Sweetener: Steviol Glycosides), Oat Flour (10%), Inulin Blend (Chicory Inulin, Glucose, Fructose, Sucrose), Milk Protein Smooth, Flaxseed Powder (2%), Vitamin Powder Blend (Magnesium, Vitamin C, Iron, Vitamin E, Niacin, Vitamin A, Zinc, Vitamin B6, Vitamin D, Thiamin, Riboflavin, Vitamin B12, Folic Acid, Potassium Iodide), Thickener (Xanthan Gum), GanedenBC30® (Maltodextrin, Bacillus Coagulans GBI-30, 6086, Soybean Oil). The nutritional information is based on the Natural Strawberry flavoured version, when choosing an alternative flavour the nutritional values may vary. Natural strawberry flavoured ready to mix powdered milkshake drink blend with skimmed milk powder, oat flour, flaxseed, vitamins & minerals. Food supplement with sugars and sweeteners. Natural chocolate flavoured ready to mix powdered milkshake drink blend with skimmed milk powder, oat flour, flaxseed, vitamins & minerals. 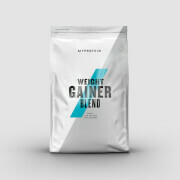 Food supplement with sugars and sweeteners.